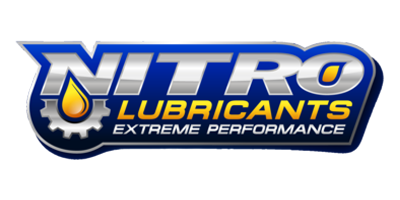 Round three of the 2017 Nitro Lubricants, AMA Championship Snow Bike Series landed in scenic, McCall, Idaho, 100 miles north of Boise. Gone were the menacing -20F temperatures from round 1 in Minnesota, and the lack of snow at round 2 in Utah. Blue skies, temps in the low 20’s, and over three feet of powder snow made winter seem normal again. About the only thing that this event had in common with earlier rounds was the blazing speed of Jimmy Jarrett, who overcame an all-night, 850-mile drive to get to town, after running as high as 5th in the X Games snow bike event on Friday, before mechanical issues. The McCall event is officially the world’s oldest snow bike race, starting in 2009, and it has set records every year for both racer and spectator attendance, and 2017 was no different as it hit yet another set of high marks, with 1,240 spectators and 65 racers from as far away as Australia. After outgrowing the McCall Golf Course, the event moved to a brand-new location near the airport which allowed for much better pits, spectator parking and the creation of a longer, more technical 1.1 mile course. Without Camso/Yamaha arch-rival, Cody Thomsen from Nisswa, Minnesota, (whose trailer broke down on the way to the event) Jarrett had another stellar weekend, charging to his second A Main win in two weeks and also taking charge of the series championship points, although with six rounds remaining, anyone could still win the title. The sport of snow bike racing is growing wildly and every race brings in new faces and talent, and the entire field is getting faster. Oregon’s Kevin Rookstool rode a smooth, fast race to take Photo by: Eric Backman second in the A Main, with endurocross pro Cory Graffunder winding up third and newcomer Keaton Ward looked impressive finishing a strong fourth. As predicted, the women’s class continues to grow and a record turnout of nine fast women lined up to go fast. As usual, Idaho’s Shayla Fulfer and South Dakota’s Shayna Lier went at it again, with Lier avenging her loss in Utah, and Idaho’s Sarah Whipple showing increasing speed as well, as she challenged Fulfer for second. Both Fulfer and Lier also raced in the men’s classes and beat a number of guys in the C Main. The Senior, 40+ class is also exploding, pulling a record 18 entries, and showcasing a great duel between Idaho riders Petel Jacobs (who also won the tough B Main) and Mark Olberding. Round 4 of the AMA Championship Snow Bike Series will be held in Detroit Lakes, Minnesota on February 12, 2017 on a tight, half-mile, twisty supercross style track right in the middle of town.